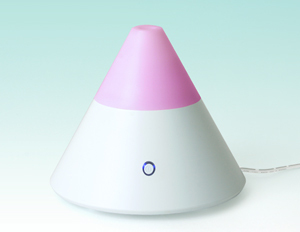 Enjoy a totally relaxing experience with this innovative and advanced ultrasonic aroma diffuser that incorporates a mini humidifier, ionizer, air purifier and a beautiful rotating-coloured mood light to create the perfect soothing ambience wherever you use it. This powerful combination of leading edge technology, the built-in soft mood lighting, and of course, therapeutic essential oils ensures the ultimate relaxing experience. If you love to vaporize your essential oils but have concerns about the safety of naked flames when using candle-powered burners, then this multifunctional electric diffuser from ‘Made By Zen’ is just what you need. Cutting-edge technology uses cold water to vaporize your essential oils in a refreshing microscopic mist that humidifies the air, whilst releasing health-enhancing negative ions into the air all around you. Negative ions increase the flow of oxygen to the brain which combats drowsiness and increases mental alertness, and some experts believe they also protect against the damage of second-hand cigarette smoke plus the airborne viruses and bacteria that can cause sore throats, colds, and a whole range of similar ailments. The timeless, stylish, visually stimulating design has an integrated soft-glow light that rotates through the whole colour spectrum, producing a beautiful relaxing atmosphere that harmonizes perfectly with mood-enhancing essential oils. You can even lock your favourite colour permanently on, or if you prefer you can turn the light off altogether. To operate this amazing multifunctional diffuser, simply fill the reservoir with water and add a few drops of your favourite essential oil, and switch it on. Once activated, the Zenbow aroma diffuser will create a beautiful calming atmosphere absolutely anywhere; in your lounge, bedroom, kitchen, office, or especially in a therapy clinic, hospice or hospital. Cleaning is very easy too; just lift off the top, pour out any remaining water and simply wipe clean with a tissue or cotton bud. For added peace of mind, the Zenbo Aroma Diffuser incorporates a patented auto shut-off which is triggered when the water falls below the required level making it safe to use even with pets or young children around. To see just how easy it really is to use this elegant, multipurpose diffuser, watch the short video from the manufacturer below. To keep the file size small the video has been a bit over-compressed so the colour changes flicker and are a bit grainy. When in use, the coloured light rotates smoothly through the colour spectrum and illuminates the surrounding area beautifully, but nonetheless the video does give you a good impression of the effect it will create in your home. 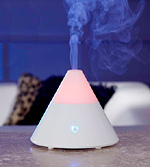 The Zenbow diffuser incorporating a mini-humidifier, ionizer, air purifier and soft, rotating, multicoloured mood light, currently has to be the ultimate in aromatherapy fragrancing devices. And because of its clever design, it is suitable for home enthusiasts and healthcare professionals alike – no matter where it is used. Negative ions are the odourless, tasteless, and invisible molecules that we inhale in abundance when up in the mountains, at waterfalls or the beach. Once they reach our bloodstream, negative ions are believed to produce biochemical reactions that increase levels of the mood enhancing chemical serotonin, which helps to alleviate depression, relieve stress, and boost our daytime energy. The Zembo diffuser also hydrates and moisturises the air without creating condensation, which is ideal in today’s centrally heated or air-conditioned indoor environments . 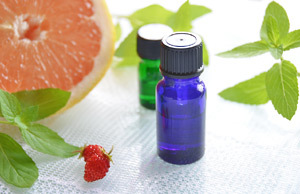 Using an ultrasonic heat-free system to vaporize your essential oils is effective, energy efficient and safe. 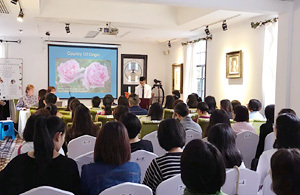 The highly advanced diffusion system means that your essential oils and blends will last much, much longer, and because the fragrances are not altered by heat you get better results and cleaner fragrances.